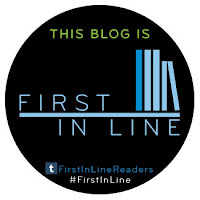 I love this genre, and have read some AMAZING books by the best YA fanstasy writers in the business. I am really curious to see how Sara's writing will hold up to my very high standards. 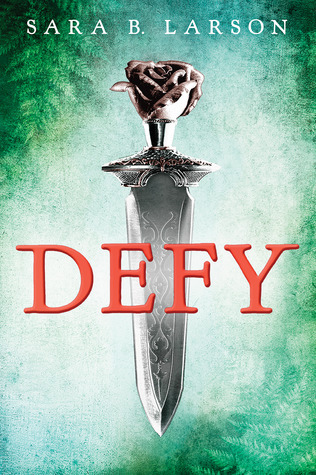 Defy sounds right up my alley, and I am looking forward for this debut! I really like this cover as well. I get a sense of power when looking at it, and I always love a dagger with a rose pommel! I kind of wish(okay, definitely wish) that I had it on display in my home. It's just THAT cool. I definitely want to read about any character who fights with a dagger like that! So glad I saw this - I hadn't heard of this yet, and fantasy has always been one of my top two genres, whether YA or adult. This sounds great :) Adding it to Goodreads now, thanks! Sword fighting, sorcery, enemy territory! I am so in. Ooh sounds like fun! I love, love triangles too! Thanks for the suggestion! I'd seen this cover before but had no idea what the book was about. I'm glad I read your post, because I'm putting this book on my wish list now. This book sounds awesome. I love the cover! 2014 is a long wait but this book sounds worth it. Love the cover. I used to read a ton of fantasy but for some reason lately I've been reading less of it but this book sounds really good! Definitely sounds like something I would enjoy, I'm adding it to my TBR list. Thanks!